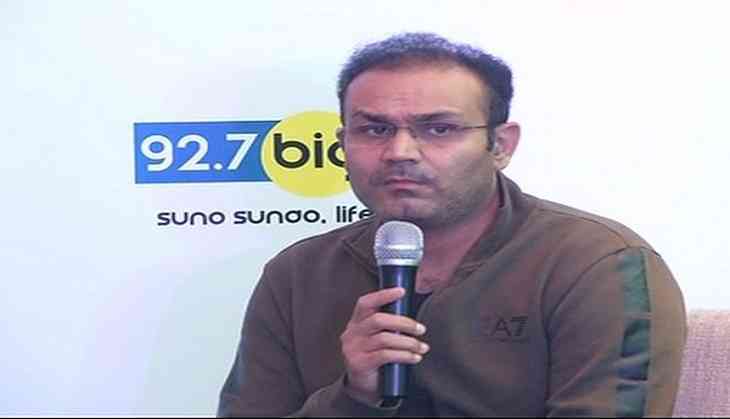 Former Indian cricketer Virender Sehwag on Thursday asserted that illegal activities like betting and corruption cannot be removed from cricket until players themselves become responsible. "I think you cannot stop these things. That's player's responsibility whom he is meeting. If a players feels to meet someone, he will meet and if doesn't want to meet, he will not. If my mind is clean, I can meet anyone," Sehwag, who is also the mentor of Kings XI Punjab, stated in an event here in Mumbai. The former Indian opener said that no level of security would be able to stop such wrongdoings if a player really wants to do it. "No matter how much security you put in, you cannot stop betting unless players don't indulge in it. Its responsibility of the player to keep his image clean and make sure he doesn't involve in practices like betting and all," he added. Sehwag's comment comes after three people, suspected of illegal betting, were arrested in Kanpur, a day after the city hosted its first Indian Premier League ( IPL) game of the season between Gujarat Lions and Delhi Daredevils at the Green Park Stadium. The three bookies were arrested with Rs. 40 lakh from Landmark Hotel in Kanpur. Three bookies namely, Ramesh Shah, Vikas Chauhan and Ramesh were caught along with cash worth Rs. 4, 40,000, two mobiles and a diary. Ramesh, who works as a labour at the Green Park Stadium, used to give pitch-related information to bookie Ramesh Shah. As per the police, Ramesh Shah had network all over the country, from where he gets information about the pitch. He used to do betting based on that information. Meanwhile, senior BCCI functionary Rajeev Shukla congratulated the police over the arrest of the bookies.